Linen has been around since the days of the Neolithic Lake Dwellers. Linen is still being used by fabric designers, fashion experts and worn by women and men today. Linen is a natural fiber that can be made out of flax, hemp, and jute. It can be a great material on its own or blended with different fibers, commonly rayon. Rayon can give linen a luxurious appearance and can decrease wrinkles. Its native country is unknown but it has traveled west and northward into Europe. 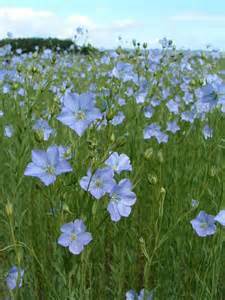 Flax grows as a vivid green plant crowned with a pale blue flower. Ireland is known as the country with the best flax rising process and production of Flax-Linen. Years ago linen was made of Hemp, an annual original from India. However this fiber is too strong and harsh which makes it difficult to spin into small sizes of yarn. 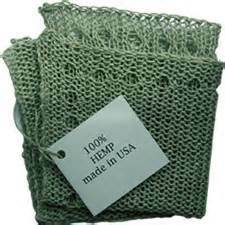 Hemp's spinning process requires more time and machinery than flax, which decreases its popularity. 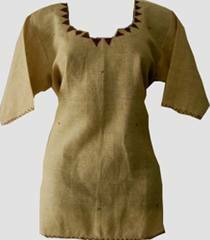 Jute can be used as a substitute for Flax in the production of Linen. Jute is common in India. The fibers of Jute do not subdivide into microfibers as Flax does. They are very hard and dry and lack moisture. Therefore it requires an extensive process to make into spinning fibers. Flax is definitively the most advantaged plant providing the highest standard of fibers suitable for soft, lustrous and finest Linens. Linen is mainly made in a plain weave. It's beautiful small, random, cross and lengthwise slubs are part of its charm. It has a natural shine, not the prism, crystal shine of silk but a shine produced on the surface of its fibers. It does not nap, keeps its body. Linen is very easy to cut and sew. Perfect for tailoring, into fine exquisite suits in all kind of weights. 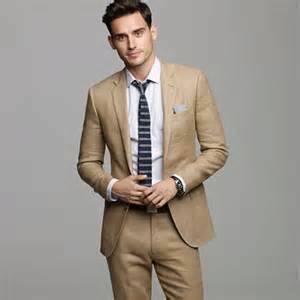 Linen is also suitable for lightweight clothing. 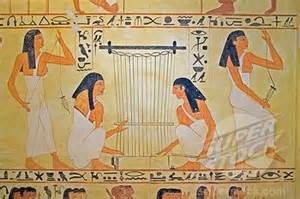 Linen has been made in a satin and twill weaves being these not as common and used as the plain weave. It can be also be worked into jacquard looms producing, jacquard and damask fabrics. - Linen, National Flax Fiber Co.
- Linen, Alfred Stewart Moore, M. Text. Inst.